An ambitious and visionary project, in 1999, the McConnell Gordon family purchased land in the Gaspereau Valley of Nova Scotia with the bold vision to create a world-class winery that would reflect an unconditional commitment to producing spectacular wines. At that time, the Nova Scotia wine industry had only a few wineries with widely varied wine portfolios, so outside expertise was sought to assess the potential for terroir-driven wines in Nova Scotia. After extensive research over a four-year period into the potential to produce sparkling wine, an international winemaking team embarked on a long and rewarding journey to produce sparkling wine using the classic Champagne varieties, aged in the prestige cuvée tradition. Today, in little more than a decade, Benjamin Bridge has distinguished itself by its dedication to time proven techniques, expert guidance, and most importantly its acclaimed, distinctive wines. Recently, top American wine writer, Alder Yarrow, wrote: "The Benjamin Bridge project is among North America's most ambitious and serious winery ventures I've had the pleasure of encountering in years. Established in the far reaches of Nova Scotia, these folks are making serious wines in the most marginal of conditions, with a dedication that is astounding." 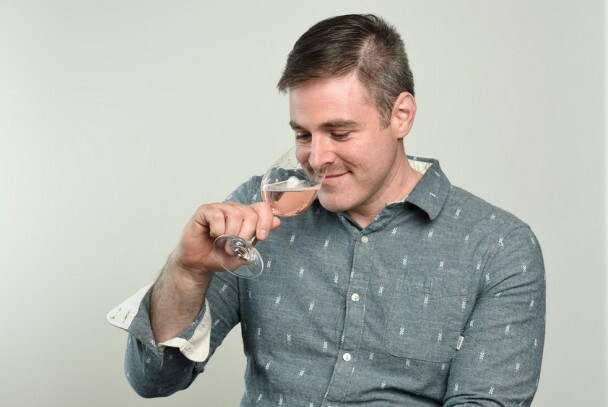 Its innovative sparkling wines are helping to raise the profile of Nova Scotia terroir and its winemaking in Canada and internationally. In 2008, Jean-Benoit Deslauriers joined the Benjamin Bridge winemaking team in time to release his first Canadian wine, Nova 7 by Benjamin Bridge. Since then he has crafted all of the winery’s classic method sparkling wines and its still wines, in consultation with Peter Gamble and Raphaël Brisbois. Originally from Québec, Jean-Benoit began his winemaking apprenticeship at VOE (Vinedos Organicos Emiliana), a biodynamic vineyard/winery in Chile’s Colchagua Valley, which was created by one of Chile’s largest producers, Vina Santa Emilina, to produce exceptional wines. Having mostly worked in California, he made wine at Casa Barranca (2004-2008), the first certified organic winery in Santa Barbara County. In California, his winemaking efforts garnered praises and standout reviews from Robert Parker and Steven Tanzer (90+). Jean-Benoit’s favourite cool climate Chardonnay? Blanc de Blancs Champagnes from La Côte des Blancs. Benjamin Bridge is nestled on the steep southern slope of the beautiful upper Gaspereau Valley of Nova Scotia, which spans approximately 12-kilometres within the expansive Annapolis Valley, eastern Canada’s most famous fruit-growing region. The Gaspereau River runs from east to west through the Valley and spills into the Minas Basin, a vast expanse of seawater at the head of the Bay of Fundy. The Fundy tides average a vertical shift of 14 metres twice a day and the sheer energy of these tides ushers in cool breezes and moisture to the vineyards in the summer months while creating a never frozen body of water that provides moderation and humidity in the winter months. Together these tidal shifts protect and support the growth of the sensitive classic vinifera grape varieties, like Chardonnay. Add to this the broad-reaching influence of the Atlantic Ocean’s warm Gulf Stream and it becomes evident how Nova Scotia achieves, like some of the greatest wine regions in the world, a truly exemplary maritime climate for growers of fine wine. Like Champagne, the Gaspereau Valley is positioned relatively northerly located at 45°N latitude and 64°W longitude and its extraordinarily cool growing season permits the classic Champagne varieties of Chardonnay, Pinot Noir and Pinot Meunier to ripen to phenolic maturity, while maintaining the low natural sugar levels and inherent high acidities that are critical to the style and structure of the very finest Champagnes. Contributing further to Benjamin Bridge’s sparkling quest are two factors that make particularly important contributions to its wines. The first is an elongated growing season that allows grapes to hang until as late as mid-November, and still arrive at classic sparkling maturity levels. With gentle ripening over a greatly extended period, the grapes develop (and never burn off) the brisk acidities and delicate aromatics that have defined Benjamin Bridge’s style. The second is the extraordinarily low cropping levels of the estate - a costly advantage in terms of the expense of making the Benjamin Bridge wines - yet universally acknowledged as a key determinant of a wine’s overall quality – increasing a wine’s flavours, texture and length. The Benjamin Bridge vineyard harvests an average of less than one tonne of grapes per acre whereas it is not uncommon for even famous Champagne producers to harvest nearly six tonnes per acre. The picturesque Gaspereau Valley is an ideal site for Benjamin Bridge to produce vibrant classic sparklings that celebrate the lushness of Chardonnay.